Girl Kuripot Girl Kuripot: @TakeoffPhils, Win an Overnight Stay at the Venetian Condotel! @TakeoffPhils, Win an Overnight Stay at the Venetian Condotel! This is a chance to win an overnight stay at the Venetian Condotel. To join, register, like and share. 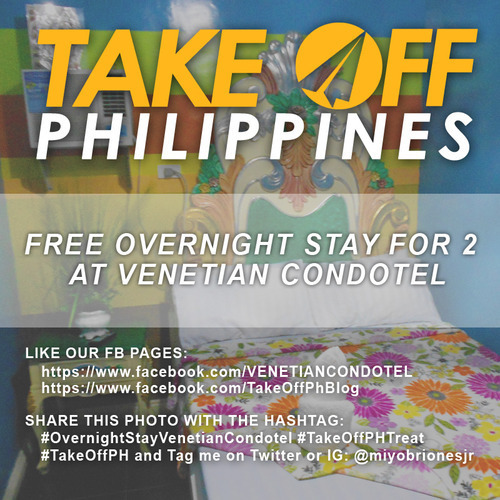 Click here for more info on the Take Off Philippines Venetian Condotel Giveaway.